Is your teen a drunk bully? It's a dangerous cocktail: Being drunk at school and being a bully. Half of high school students say they've bullied someone in the past year, and nearly half say they've been the victim of bullying, according to a national study. The survey released Tuesday by the Los Angeles-based Josephson Institute of Ethics asked more than 43,000 high school students whether they'd been physically abused, teased or taunted in a way that seriously upset them. 43% said yes, and 50% admitted to being the bully. The institute's president, Michael Josephson, said the study shows more bullying goes on at later ages than previously thought, and remains extremely prevalent through high school. "Previous to this, the evidence was bullying really peaks in middle school," Josephson told The Associated Press. He said the Internet has intensified the effect of taunting and intimidation because of its reach and its permanence. "It's the difference between punching someone and stabbing him. The wounds are so much deeper," Josephson said. In the survey, 10% of teens admitted bringing a weapon to school at least once, and 16% admitted being drunk at school. Josephson said that means victims of bullying are in danger of striking back violently. "You have a combination that is a toxic cocktail," Josephson said. The study reported responses from 43,321 high school students from around the country, and the margin of error was less than 1%. Rick Hesse, a professor of decision sciences at Pepperdine University, said the survey involved voluntary self-reporting and was therefore not a random, stratified sample of the U.S. population. But he said the large number of people surveyed and the lack of corrupting factors mean certain valid conclusions can be drawn from the results. The study's release comes in a year of several high-profile suicides related to bullying, including that of 15-year-old Phoebe Prince of Massachusetts, who prosecutors say was relentlessly bullied by the six girls charged in her death. On Tuesday, the U.S. Department of Education sent letters to schools, colleges and universities around the country warning them that failing to adequately address ethnic, sexual or gender-based harassment could put them in violation of federal anti-discrimination laws. 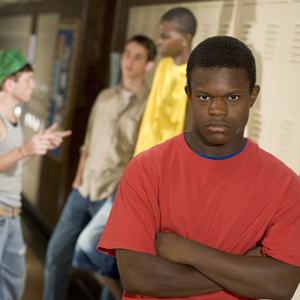 Has your teen admitted to being a bully? What would you do?